Another Rave for the Encyclopedia Mouse! Where do I begin? At the beginning or the end? Or should I jump right into the middle? In all likelihood, it doesn’t matter a whit. Officially, I will call this “Science Fiction.” Unofficially, I will name it “Science Fiction Science Philosophy Genre Bending Fiction.” I think that the author will appreciate this, and that it will give readers fair warning (and thus build anticipation) as to the nature of the book they are about to delve into. The book centers around “Encyclopedia Mouse,” a small creature who has the massive ability to save the multiverse. There are stories within stories, and frankly, words that must be unique to the author that left me feeling uncertain as to which way was up. Yet, as a determined reader, I buckled down and plowed ahead to figure things out. Encylopedia Mouse is spinning a web of tales to several minor mice, with himself in the role of Nuncle (uncle) Mouse. The Mouse faces off against enemies galore, with no shortage of narration that deftly weaves everything from philosophy to history into the story. Encyclopedia Mouse faces challenges with an inner strength that many men do not possess. He goes up against his Doppelganger, and must save the multiverse by narrating it, without regard for time nor space. Will he, or won’t he be able to defeat his Dopplelganger, and will author Bulwer Zetford finish “The Cosmic Messenger? 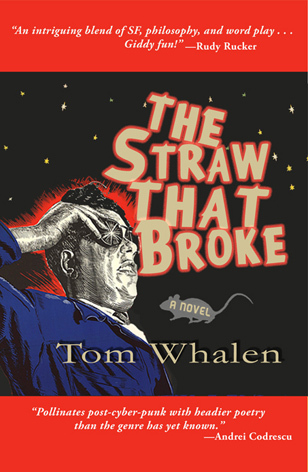 “There are so many characters and unusual situations in “The Straw The Broke,” that the best way to read it may be one chapter at a time, and absorb that before you move on to the next, in which you will be confronted with an entirely new set of circumstances. I am not sure if Whalen is attempting to amuse, enlighten, or educate readers, but I’m sure he will do some of each for every individual reader. I wish that I’d had the chance to read the previous book, or books, I’m not really sure, in this series, as it may have made things clearer. Or not. Nevertheless, I was vastly amused, highly intrigued and overall would recommend this book for anyone looking for answers beyond your wildest imagination about that nature of reality, from a valiant mouse perspective, with a multidimensional twist. If you know a Sci-fi fan who thinks they have seen it all, heard it all, and read it all, “The Straw That Broke” by Tom Whalen would be the book you want to get for holiday gift-giving. They won’t be able to put it down, and you will be rewarded with much gratitude, and lots of peace and quiet as they read for hours and hours! 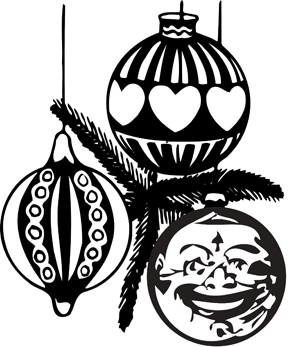 Thank you for supporting this small press in 2014. We wish you all happy holidays—peace, health, & happiness in the New Year. Here’s a treat for the holidays — an advance excerpt from Alphonse Allais’s THE SQUADRON’S UMBRELLA (Le parapluie de l’escouade)—a collection of 39 humorous texts never before published in English, and translated from the French by Doug Skinner. We hope you enjoy. The Easter holiday was favored with exceptional weather. On Sunday and Monday, numerous Parisians took advantage of it to travel, with their families, into the country. The amount of ham and cold veal that they consumed, on the grass, was practically prodigious. The Journal’s record keepers, assigned specially to this statistic, report a truly extraordinary result: 740,000 tons! A number which, we believe, has not been equalled since the summer of 1879.